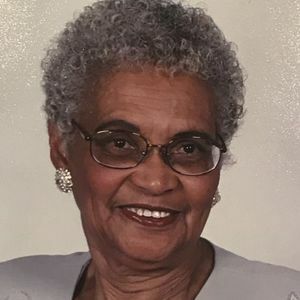 Yvonne was born on September 5, 1928 and passed away on Thursday, March 28, 2019. Yvonne was a resident of Alexandria, Virginia. Tuesday, April 09 10:00 AM to 11:00 AM 3830819 3927415 20190409T100000 20190409T110000 St. Joseph Catholic Church 711 N. Columbus Street Alexandria, VA 22314 Mass of Christian Burial 11:00 AM to 12:00 PM 3830820 3927416 20190409T110000 20190409T120000 St. Joseph Catholic Church 711 N. Columbus Street Alexandria, VA 22314 Chattanooga National 1200 Bailey Avenue Chattanooga, TN TBD. The descendants of Thomas and Harriet Armstrong from Pittsburgh and abroad extend our sincere condolences to our cousins in Alexandria, VA on the home-going of their Mother, grandmother, sister and aunt, Yvonne Bland-Powell. Yvonne was the daughter of the youngest daughter of Thomas and Harriet Armstrong, Hattie Louvenia Armstrong-Bland, and the youngest sister of Rev. Charles Armstrong and his siblings. She was a first cousin, once removed from my generation. I discovered her while doing family tree research on the Thomas and Harriet Armstrong family through her sister, the late Helen Bland. I discovered Helen in 2005 while doing the same research through my uncle, the late Roosevelt Armstrong, with whom she had made contact. Helen gave me information on where all of the children and descendants of Thomas and Harriet Armstrong were geographically located with contact information. I contacted everybody by phone and got pictures and information on their families. As the result of this, I met and invited Yvonne and her family to the Armstrong and Glover connection family reunion in Pittsburgh that year in 2006. I found her to be such a lovely and sweet person in conversations over the phone and in person. She was not ashamed of her relationship with God. She attended the reunion in 2006 and 2008 with several members of her family. She participated by singing with the family choir at the 2006 and 2008 reunions. The first reunion in 2006 was especially exciting because as I introduced the family units, I introduced our cousin, once removed, the late Johnny Mathis and his family, who I also met for the first time in 2005 in Cleveland, OH with my cousin, Henry Armstrong. I am so sad to hear of the passing of your dear mother, Ms. Yvonne. She will be remembered as a kind, sweet person. I remember her singing in the choir at St. Josephs. A sweet spirit. Thank you for sharing her with us. Sylvia and Ravonne, you are in my prayers.